Twelve South's new SurfacePad for the iPhone 5 and iPhone 4/S is the company's second incredibly innovative protective handset cover designed as a wafer-thin and lightweight luxurious folio cover that's 1.7mm thick. The SurfacePad wraps around the iPhone à la Smart Cover - keeping it protected from the simple things in life with a minimalist approach. The SurfacePad's low-profile design extenuates the iPhone 5 by covering up less. It adheres to the back of the iPhone using a special adhesive that's strong yet durable enough to allow for numerous re-applications and uses without leaving residue behind. Twelve South's SurfacePad cover case is made from genuine full-grain Napa leather, and can fold up into a hands-free stand thanks to the built-in stand sewn into the back cover. It also features a rear camera cutout and soft microfiber front cover lining. 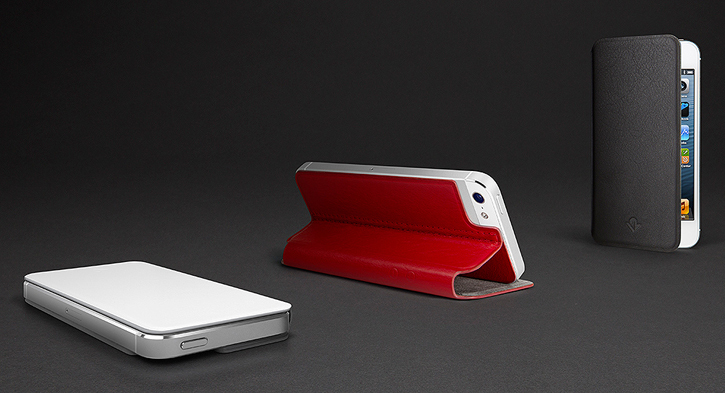 The SurfacePad for the iPhone 5 and iPhone 4/S is now available in red, white and black for $35.